Measures 36 inch x 5 inch x 30\"
Much better than anticipated! Magnetic door closures made this a true winner! I added two more anchor screws just to be on the safe side because of weight. Very nicely made! 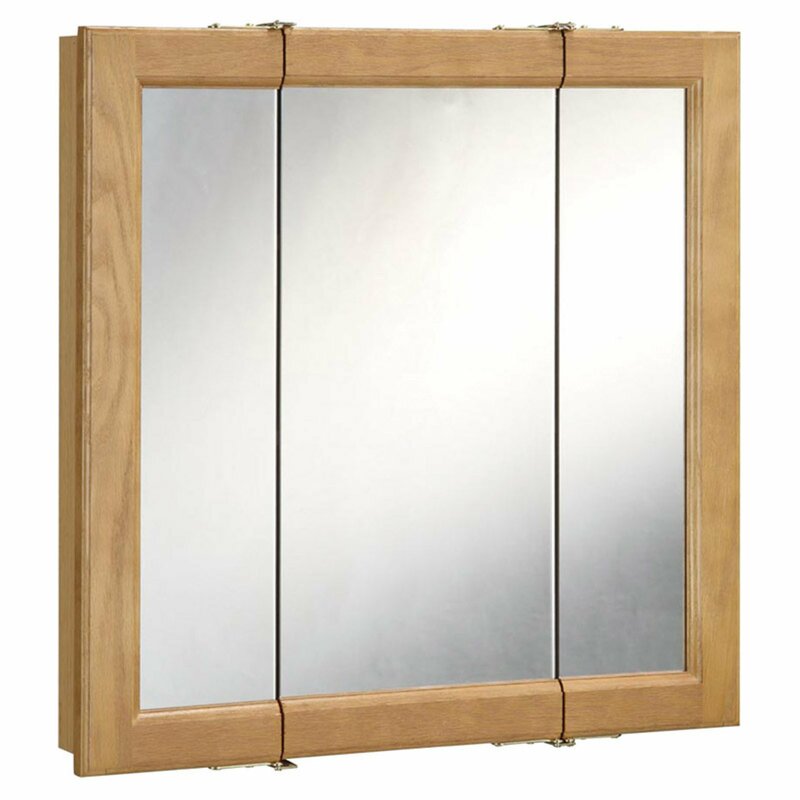 Home territory searches the web to find the best prices and availability on Medicine Cabinets and related products foir your home like Design House Richland Tri-View Medicine Cabinet Mirror with 3-Doors. For this page, related items include products we find that match the following keywords: "Cabinet Medicine" at our vendor partner Walmart - Click More Info / Buy Now to check for price rollbacks!. Design House Richland Tri-View Medicine Cabinet Mirror with 3-Doors is one of 80 Medicine Cabinets and related products available for sale through HomeTerritory.com, If you have any questions on this product, please give us a call at 734-971-1210 during the hours of 9am - 5pm EST for assistance. Thank you for shopping at Home Territory, the home furnishings superstore!